Congratulations to Sam Flarida on winning the Youth Futurity and the Level 1 Non Pro Futurity with a score of 220 on Hollywooddirtysecret at the NRHA Futurity. They were also the Level 2 reserve champions, placed third in the Level 3 & 5th in the Level 4. Sam & "Big Mac" won over $58,000! Name: Courtney Hilty Where do you live and with who? I live in Huber Heights, Ohio and I live with my sister Natalie and my parents, Tim and Gretchen Hilty. Walnut Hills Farm is also the home of our three dogs Bridget, Bandit, and KateSpade as well as our six horses and six chickens. How did you get involved in horses? I became involved with horses when I was eight years old. We took lessons at the Sullenberger farm in Piqua, Ohio. 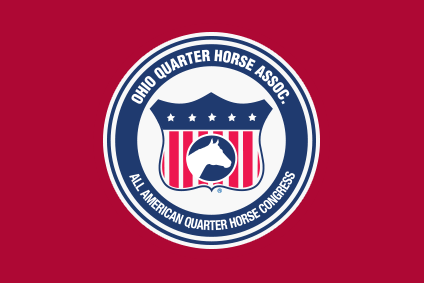 We started in 4-H at the Miami county fair and later became AQHA members in 2014. Soon after we joined IEA and eventually YEDA. We also joined a rodeo drill team called Midwest Express that later became Silver Lining Drill Team. We now show at the Clark County fair and show with Piper Performance Horses.